Theater in the Now: Review: Bringin' the Heat! Fringe festivals are notorious for their quirkiness. From venues to shows, going into a show, you should know the experience will not be like any other. I preface this review by stating that, due to unforeseen circumstances, the A/C at the Lynn Redgrave Theatre at the Culture Project had died forcing this production to put on their show with limited to no tech and a scorching temperature. In a town that's a cross between Footloose and Urinetown where stalking avoids the human touch that causes love, a stranger sets the land a-blaze when he teaches of love. 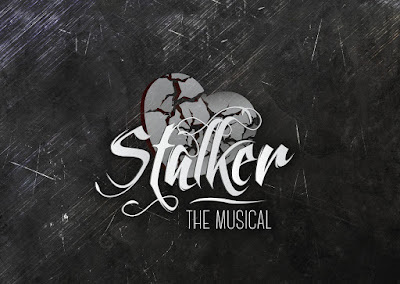 In the absurd little musical comedy Stalker the Musical, with book and lyrics by David Russell and Alex Giles and music by Andy Peterson, the people in this is neighborhood, shoved away in another dimension, only know about admiring from afar because love hurts when it’s too close. Stalker the Musical brings the funny. Stalking, as a practice, is extremely taboo yet when you break down the “art”, it’s quite hilarious. And creepy, of course. With a smart concept to play on, Stalker seems to borrow many themes and ideas from well-known musicals, though rarely acknowledging them. The musical is no doubt campy and over-the-top but it suffers from too much plot. To begin, The Stranger stumbles into the stalker town. His memory is limited but what he does remember is love. And then two stories veer off. First is The Stranger telling Jay Cloudstreet of this sensation of love to discover that Jay has been in love with his favorite stalkee Ava. They end up falling in love but the rules of the town prevent them from actually being in love so they are banished to a mysterious place called New York City via a portal by the Mayor and Henrietta Pleasureberry, the lady who runs the local peep show. We then watch Jay and Ava struggle to be in love in the real world. The second story follows the Stranger as he discovers he is falling for the meek Fanny, a local girl. To prove the dangers in love, Pleasureberry sets a deal with the Stranger a la Pygmalion. The pair ends up falling in love while inspiring the rest of the locals to find the love inside them. Sound like a lot? It is. The dual plots are excessive. And once we are in NYC, things just get too crazy and unnecessary. Trimming the fluff and reducing the subplots will be key. The music of the show is that contemporary Broadway pop sound. It’s fun and catchy filled with zingers. But there are numbers that could easily be eliminated or given to other characters to assist in the more important arcs. The cast of Stalker the Musical did an incredible job of performing all out during a heat wave. You have to give them an insane amount of credit for putting on their costumes, some sweating right through them, and still brining their heart and soul to the stage. Dave Bleier as the Stranger was solid. Blake Erickson and Tara Martinez as Jay and Ava had a nice bond with one another. The stalker trio of Brian Ogilvie, Terrance L. Johnson, and Adam Rennie served as the comic relief but it was when Rennie had his moment in the spotlight that the heat of the day went away. Rennie surprised all with his stunningly pure vocal. It proved that the character of Percival needs more substance, especially if Rennie is in the character’s shoes. It’s hard to say what Stalker the Musical would have been like as a full production. From what was offered, director Benita De Wit certainly allowed the tone of the piece to come through. The staging was a bit manic but again, the techless show could be to blame. The true hero of the production was Andy Peterson. While the actors had moments to go off stage and hydrate, Peterson stayed at his piano and sweat through the music. What we do for love! 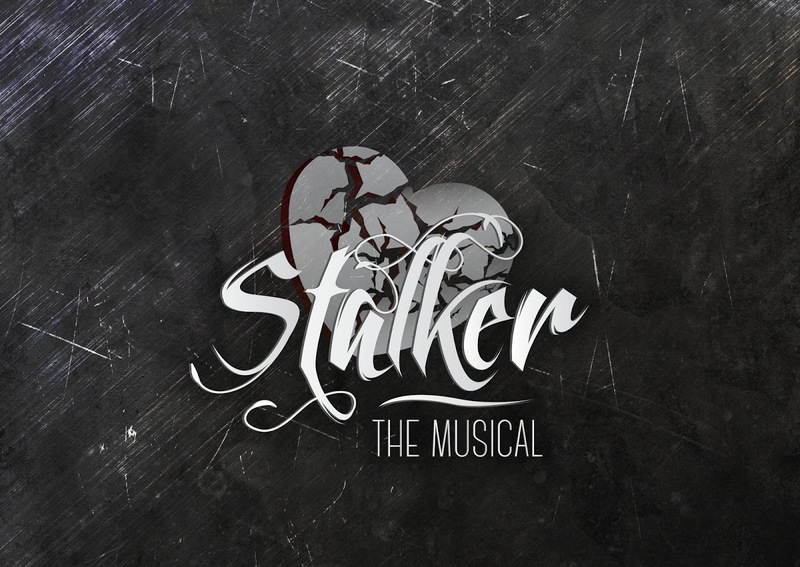 Stalker the Musical is campy and fun. And with the heat of the day as an accidental assistant, it probably knows it needs to sweat away a few pounds of excess material. Regardless of the product, you have to reward this company for their passion to share their story.